The 138th year of the Cape Town Cycle Tour Map will be shortened to 47 kilometers due to impact of the huge fires that have occurred this week in the mother city’s southern suburbs. The route will start as usually at the Civic centre, with the cyclist riding to the end of the M3 and then returning to finish off in Green Point. The tour has been dubbed – “Show You Care Solidarity Ride”. See here for the official notice. 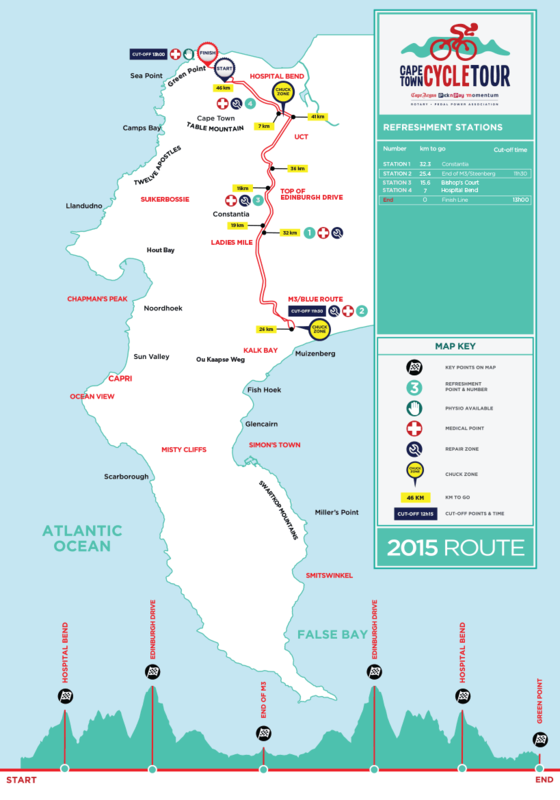 For those that want to see the route we have the 47km map route.